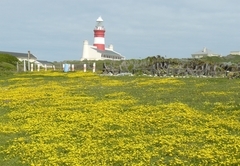 House of 2 Oceans is a highly recommended property providing self catering in L'Agulhas for tourists visiting the Cape Agulhas region. 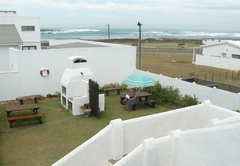 Situated in the quaint village of Agulhas, House of 2 Oceans offers self catering accommodation near the beach. 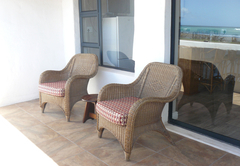 Relax on your private balcony and watch the ocean, seagulls and perhaps even a passing whale. 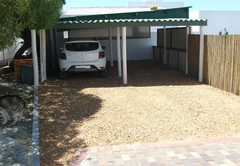 The garden has picnic benches and braai facilities are provided. 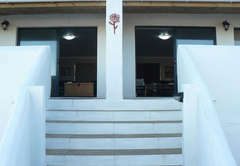 There are two self catering units, both with a private entrance. 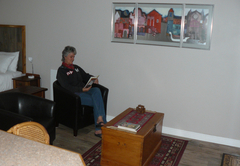 The units are open plan and have a kitchenette and small lounge. 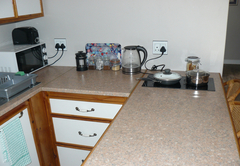 The kitchenette is equipped with a fridge / freezer, two plate stove, kettle and a toaster. 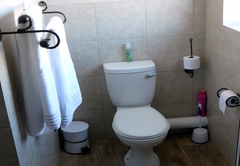 The open plan unit features a Queen-size bed and a bathroom with a shower. 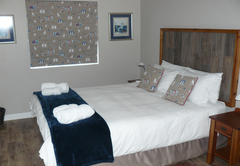 The unit has two single beds (or a King-size bed) and a bathroom with a shower. 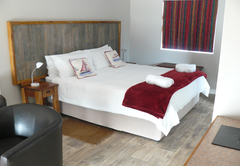 The open-plan unit features a queen-size bed and a bathroom with a shower. 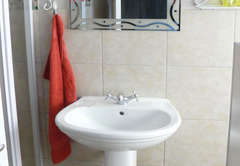 The kitchenette is equipped with a fridge-freezer, microwave, two plate induction stove, kettle, and toaster. 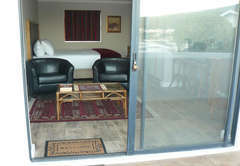 The unit has a braai area and a TV with DStv. 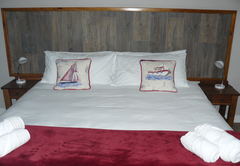 Two single beds or a king-size bed and a bathroom with a shower. 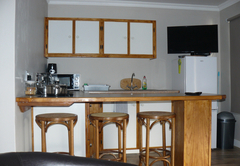 The kitchenette is equipped with a fridge-freezer, microwave, kettle, and toaster. 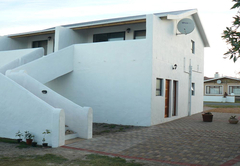 The unit has a braai area and a TV with DStv. 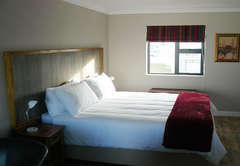 Excellent facilities, spacious and comfortable, off road parking, great location. Very friendly and informative host. 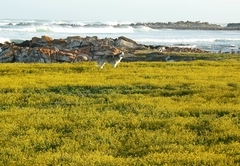 Response timeHouse of 2 Oceans typically responds to requests in 5-10 minutes. 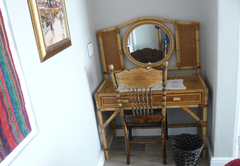 Early check in or late check out possible by prior arrangement.